So happy with this putter. Toe hang, milled face, mid mallet weight and moi, good looks. Could not find a single putter better suited to my game. Any one have experience with this model/line (red x from Cameron)? Anyone like/dislike those qualities in a putter? I have one in LH. Sent it to Cameron for a new shaft and set to factory specs. Great balance. Excellent feel of the face if you hit the sweet spot. 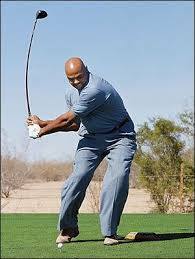 Forces me to focus on a good stroke thru the ball. No face technology but puts a great roll on the ball. I had one of the original Red X clubs - heel shafted with the insert face. I removed the sole plate, poured melted wheel weight lead into the head taped in securely with more lead tape and double sided tape - put the sole plate back on (actually poured it into a recess in the sole plate) and it was a great putter - wish I had kept it. Tried the plumber neck version, but it did not work as well for me. If anyone tries melting wheel weights -BE CAREFUL- lead gas and other chemical gases release when it melts - make sure you are not in the wind path - and do this outside! that's why I love it... no tech, so it's the exact same impact feel every time, I even don't mind missing the sweet spot on this one. I bet that had a very cool feel. Sounds intense. Didn't know guys did mods like that to their putters! Switched grip to the matador mid. Great grip, my new go to. Nice. I put a Matador Small grip on mine which seems more midsize. Works with a cross hand grip. Simple mid mallet that lets you know if your stroke is on or not.